Usually, the ERR_FILE_NOT_FOUND on Chrome occurs when users try to open any website or any specific website. In most of the cases, Error 6 (net::ERR_FILE_NOT_FOUND) occurs due to Chrome extensions. So, let’s check out how to fix ‘ERR_FILE_NOT_FOUND’ Error message from Chrome browser. Well, it’s of no doubt that Google Chrome is right now the most used web browser. The web browser is available on almost every major platform including Windows, Linux, Android, iOS, etc. However, just like every other web browsers, Google Chrome also has some errors, one of that error is known as Error 6 (net::ERR_FILE_NOT_FOUND). Usually, the ERR_FILE_NOT_FOUND on Chrome occurs when users try to open any website or any specific website. In most of the cases, Error 6 (net::ERR_FILE_NOT_FOUND) occurs due to Chrome extensions. So, in that case, disabling the extension that’s forcing the web browser to show ERR_FILE_NOT_FOUND error message will eventually fix the issue. So, if you are also getting Error 6 (net::ERR_FILE_NOT_FOUND) Chrome error message which visiting websites, then here we have shared a few working methods to fix the error message. So, let’s check out how to fix ‘ERR_FILE_NOT_FOUND’ Error message from Chrome browser. 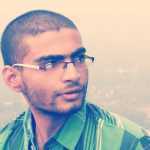 Chrome extensions are useful because they help to extend the browser functionalities. However, there are few extensions which can play with the browser files leading to ‘ERR_FILE_NOT_FOUND’ error message. One of those extensions is known as ‘Default Tab’. It’s not a genuine Chrome extension, instead, it’s a browser hijacker that’s bundled with some freeware software. 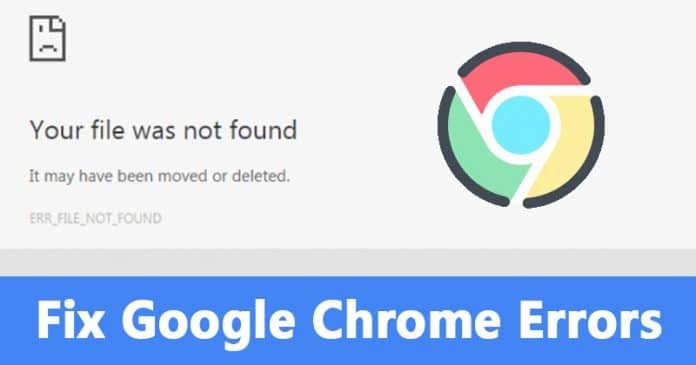 Lots of Google Chrome users have reported that the ‘ERR_FILE_NOT_FOUND’ error message has disappeared after removing the ‘Default tab’ Chrome extension. 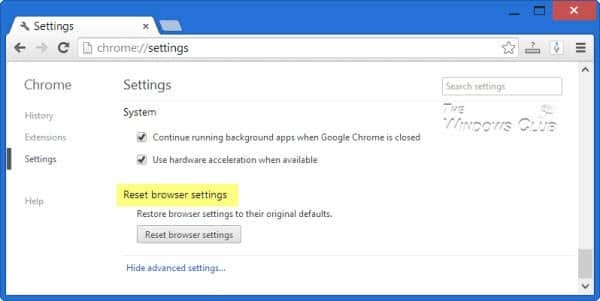 So, open the Google Chrome browser and head to the Settings > Tools > Extensions. 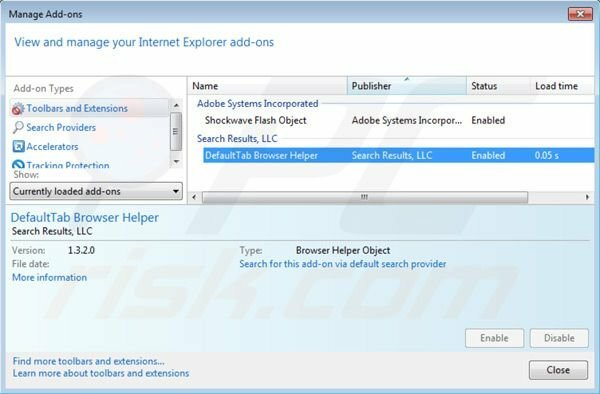 There you need to find and disable the ‘Default Tab’ Extension. Now under the More Tool menu, you need to click on ‘Extensions’. 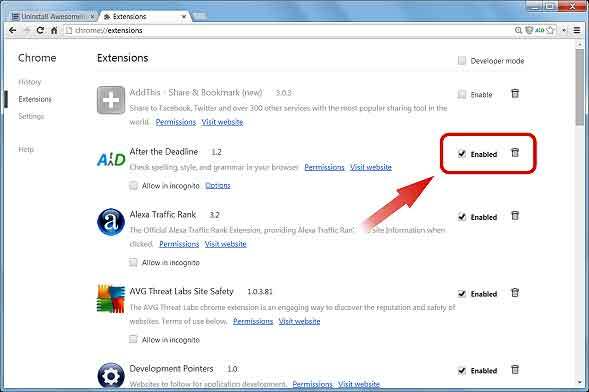 The Extension page will list out all extensions that you have installed. Check for any suspicious extension. If you can’t figure out an extension, then disable all of them and enable any one extension. Restart Chrome browser to check whether the Error 6 message persists. You need to do the same thing for other extensions until you find the culprit. Once you have determined which extension is causing the ‘ERR_FILE_NOT_FOUND’ error message, remove it by clicking on the dustbin icon. Well, the last method to fix the Error 6 (net::ERR_FILE_NOT_FOUND) error message from is to reset the browser to its default settings. In fact, Resetting Google Chrome to its factory defaults will fix most of the Chrome browser problems. So, here’s how you can reset the Google Chrome browser to fix ‘ERR_FILE_NOT_FOUND’ from Chrome browser. First of all, open Google Chrome browser on your computer. Head to the Settings > Advanced Option. Now under the Advanced options page, you need to scroll down to the very end. In the end, you will find an option ‘Restore Settings to their original defaults’. Click on it and then click on ‘Reset Settings’. That’s it, you are done! Now just restart your Google Chrome browser to fix the ‘ERR_FILE_NOT_FOUND’ error message. So, these are the 3 best methods to fix the Error 6: (net::ERR_FILE_NOT_FOUND) error message from Chrome browser. If you know any other methods to fix the error, let us know in the comment box below.